Sometimes we need something a little different. Your body is a storehouse of emotion, memory and thoughts. 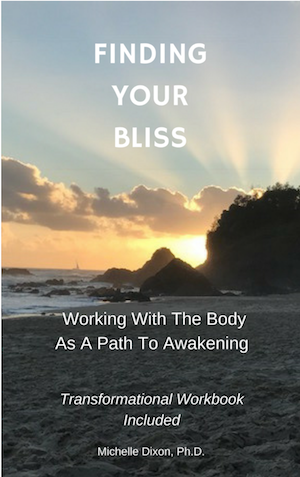 I help release the body of emotional pain and a feeling of being ‘stuck’, using 6 core practices (from presence, to working with sensation and more). In our sessions together we might also use hypnotherapy, bodywork and whatever else may be appropriate. I help you learn the core practices so that you have them as powerful, transformational tools to work with, forever. "She has an ability to wade through the mire of distractions and help you work out where your focus should truly be to balance your life. I am very goal driven but I have been using some less important goals to avoid doing what I need to do for myself, my family, my business and my spiritual/ church life as well as fitness and relationship. She's helping me to get these into to a better balance so that I don't live with the constant frustration of wearing my self out trying to keep everyone else happy. She is helping me focus on setting the right goals! Visualising them and working to achieve them because I really want to achieve them and not just because it will stop me from failing. "Michelle has been fantastic in taking me through a journey of self discovery. Naturally introverted, it took me time to open up but her gentle style coupled with giving me goals to achieve has been instrumental in changing me and my life." "I am a male in my 40's and I am a survivor of childhood and sexual abuse. My sadness led me to edge of 3 suicide attempts in my adult life, all of those wanting to extinguish the pain after each of the new trauma events. Michelle's nurturing nature and her approach to treating the person as a whole is what is helping me recover and grow. Her connected work at all levels has helped me leave the trauma in the past, and strive for a better future. She has helped me overcome the hurdles of being stuck in a victim mindset. I am now a true believer that the body holds trauma, and without awareness and assistance, the trauma keeps surfacing to either be ignored or addressed." "Michelle is a gentle, caring, empathetic and powerful facilitator and healer. I have been working with her for a couple of years now and she has gently guided me to excellent results, not only on physical and emotional level, but also when coaching me for my service/business ... She has a very unique approach and connects with Energy in such a wonderful way that makes me feel safe and confident. The energy in the room is amazing! She has the gift to help others from a place of love, understanding and clarity. Thank you so much for sharing your Light with the world! I love working with you and seeing and living great results!" "Michelle offers an amazing value in her workshops. Her passion for the work and a caring and patient approach to the participants make for a beautifully enriching and heart opening experience for everybody present. I recommend her to all my friends!" An outside perspective can help you overcome stress, divorce, trauma, or crisis – or to heal from early wounding like childhood difficulties, including abuse, grief or eating disorders. My 6 core practices not only help in our sessions – you can then use them at home on an ongoing basis. You CAN reduce stress in your life and achieve a grounded state of peacefulness, without prolonged therapy or by adopting practices that are not in alignment with your beliefs. My client sessions and my online program use simple, sensible practices that anyone can do, anytime, anywhere. If you’ve tried energy healing, bodywork, mindfulness or meditation before and it’s been too hard, or time-consuming, or hasn’t had the results you wanted, the method was probably just not for you. My simple practices are time-efficient, build in intensity gradually, and there are frequent check-ins to make sure you are getting it! Ready to learn how to de-stress quickly and cultivate long-lasting peace? Click here to view some helpful resources on mindfulness. Interested in working with me, or even doing one of my workshops?